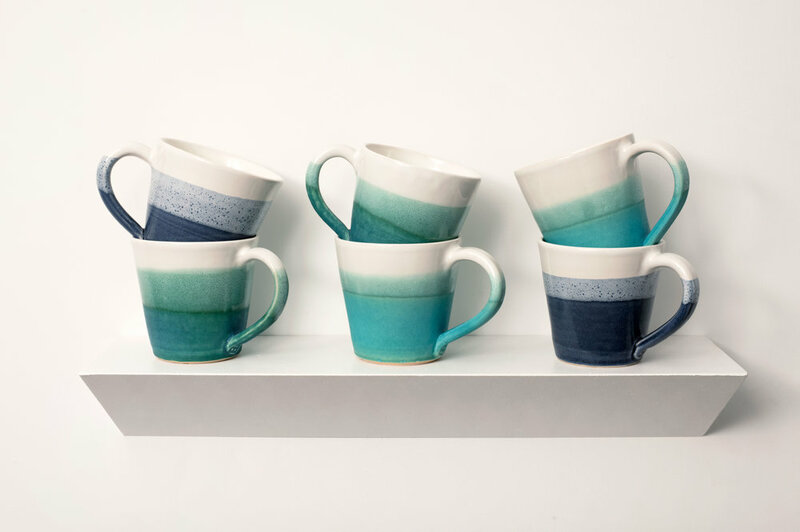 I have a solo show at Bath Artists Studios in May 2019, showing a selection of (Dys)Functional cups from my recent MA degree show at Bath Spa University. Private View Thursday 2nd May 6-8pm with the show running from Friday 3rd May until Thursday 23rd May 2019. I am opening my studio again this year as part of the Select Art Trail 2019, along with 11 other artists and makers from Victoria Works Studios. Come on down and you’ll be able to see ceramics (not just mine), jewellery, textiles, glass, sculpture, paintings and so much more…. My entry in the brochure below is on page 68 and you can see the artists and makers taking part at Victoria Works Studios from page 56. The talented Steven Wood-Matthews has been taking some shots of my work for various applications. Some pods, some functional ware and some dysfunctional ware! I’ll be opening my studio for the Made in Chalford annual Christmas Fair at Victoria Works Studios on Saturday 1st & Sunday 2nd December 11am-5pm each day. 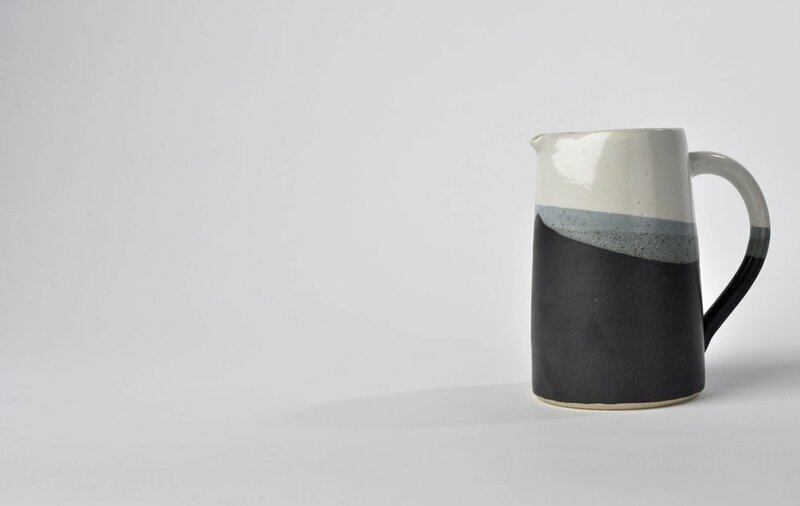 Along with 25+ other makers, there will be a whole host of locally made creations, perfect for Christmas gifts. 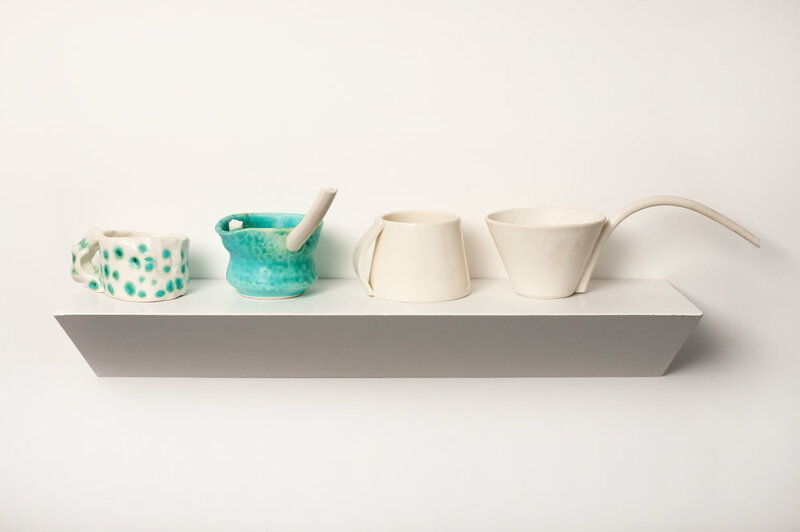 Jewellry, ceramics, textiles, glass, and more…. This year, we’ll be raising funds for Chalford Village Shop and Wyatt House Care Home, Stroud. 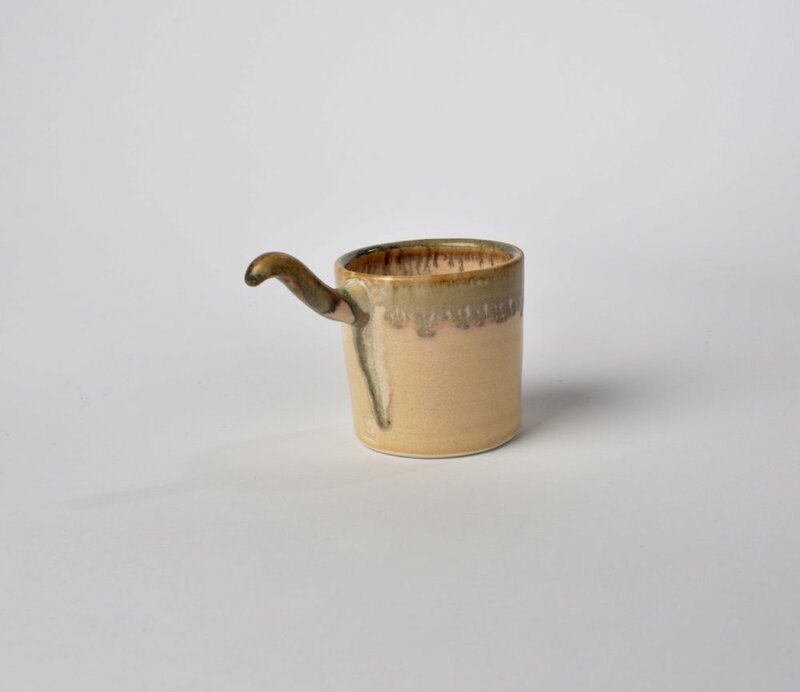 I'll be exhibiting my Masters pieces - Practically Dysfunctional cups - at the MA Degree Show at Bath Spa University from 22nd to 26th September at Sion Hill. I'm thrilled to be taking part in this exhibition at Rodmarton Manor in September. 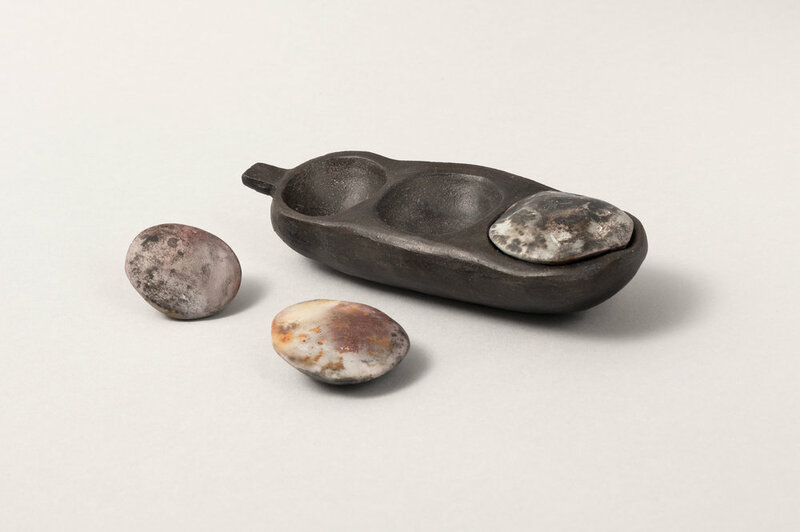 Part of the Crafts Alive festival, the exhibition Rodmarton Re-Imagined explores the idea of home, featuring art works that are domestic in both scale and material and which speak of personal and family narratives. As a way of reflecting this strong sense of place and rooting the show in its very specific environment, curator Charlotte Abrahams commissioned a group of eight artists from Victoria Works Studios (including me!) in the nearby village of Chalford (where several of the craftsmen involved in the making of Rodmarton were based), to create a collection of site-specific work for the Stonehall Bedroom. Very excited to be taking part in New Designers 2018 at the Business Design Centre in Islington. I'll be exhibiting along with fellow Bath Spa University graduates in Week 1 (27th-30th June). I wonder if this little piece - Elephant Wave - from my Practically (Dys)Functional series, will be there? This year I'll be taking part in the SIT Trail on 5 & 6th and 12th & 13th May, 1100-1800 each day. Come on down to Victoria Works Studios to see my work, along with a fabulous host of painters, jewellers, ceramicists, textile workers and more.... Click here for the brochure in full. I'm on page 98. In 2014 I took part in the Select Trail.